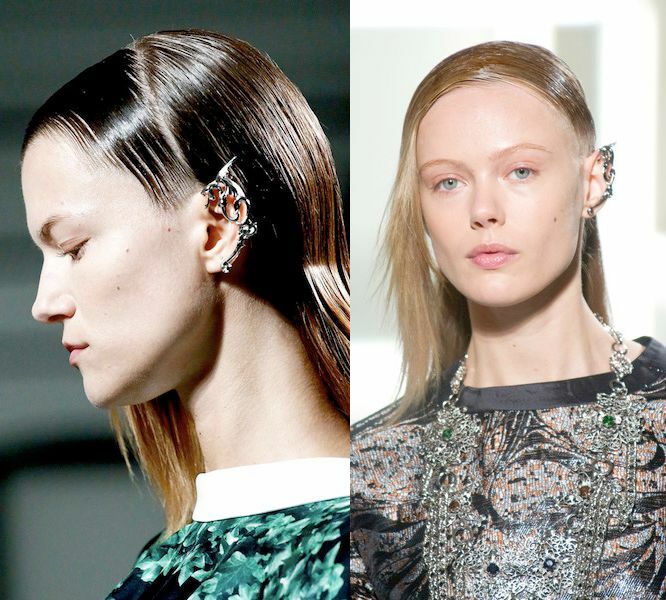 Remember how Rodarte sent its models down the New York Fashion Week runway wearing matching dragon ear wraps? That's pretty much a heavy "medieval fantasy world” vibe going on with their metal dragon ear cuffs. However, of course celebs and street stylers who may have taken a softer, more eclectic approach to this statement ear jewelry. Look at how Cara Delevigne looks surreal in a Chanel diamond ear cuff. You can get one too, check out this Dorothy Perkins rhinestone vine ear cuff (at a steal, USD15) and this stunning ASOS Swarovski adorned piece.